Even before DeSean Jackson returned to the Philadelphia Eagles this offseason, there had been a chance that his former teammate, Jeremy Maclin, was going to be the first to make a comeback from the Chip Kelly purge. Maclin, who was released by the Kansas City Chiefs after the 2016-17 season, opted to sign with the Baltimore Ravens instead of the Eagles ahead of what became the team's Super Bowl year. 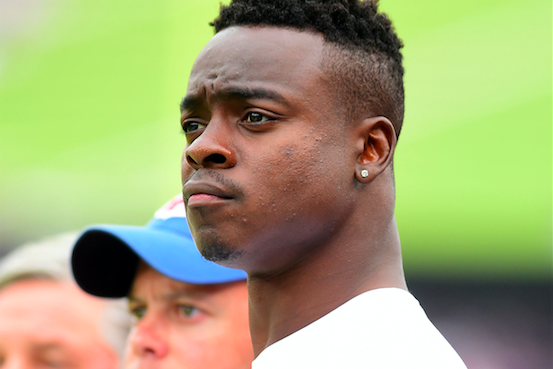 Maclin battled injuries throughout the season and wound up spending last year rehabbing. Over the weekend, Maclin announced that he is retiring from the NFL after eight seasons, five of which he spent with the Eagles, who selected him in the first round of the 2009 draft. The announcement came at a baby shower for his wife. Maclin had an impressive and tough career, fighting through injuries to amass 514 receptions, 6,835 yards and 49 touchdowns. In Philadelphia, the dual speed threat of DeSean Jackson and Jeremy Maclin often was a nightmare for defenses. The classic "Monday Night Football" massacre against Washington was a prime example of that, with Michael Vick bombs to Jackson and Maclin early in the signature blowout. They were one of the most entertaining wide receiver tandems in the NFL. On Tuesday, Jackson took to Instagram to wish Maclin well in his post-football life and share a few pictures of their glory days together. Maclin, who's gotten involved in esports during his rehab from injury, promised more information to come about his plans in the near future. As for Jackson, he's met with Eagles owner Jeffrey Lurie and recently had chance to hold the team's Lombardi Trophy.